A few different women have used the moniker of Spider-Woman. Jessica Drew, Julia Carpenter, Mattie Franklin, Charlotte Winter, and the Skrull Queen Veranke. This post will focus primarily on the Jessica Drew version of the character. Preview of Spider Woman #1 - It is Spiderverse time! Marvel initially tried to make Spider-Woman very different that Spider-Man. She has different powers, persona, and origins. Her stories tended to be darker, and more espionage based. This was done on purpose to make Spider-Woman her own character separate from the male version. 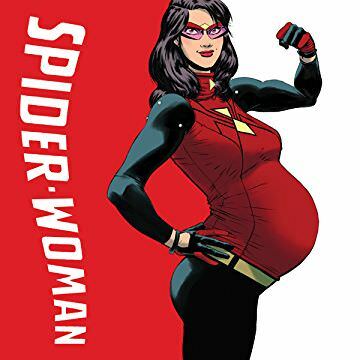 Spider-Woman's original origin was retconned in the storyline called Origin. What follows is the story based off the new continuity based version. 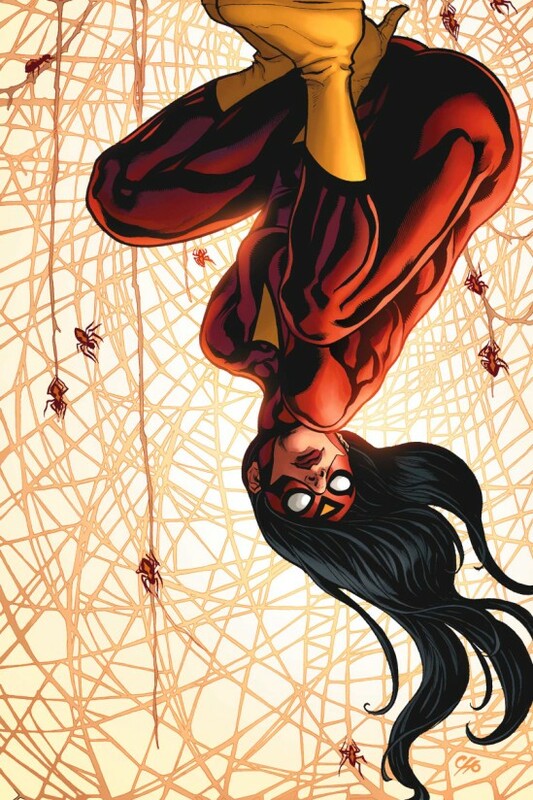 Jessica Drew's parents are scientists working on adding spider DNA into the human genome. They move to the Wundagore mountain range to work on this project. Little to their knowledge their work is being financed by Hydra. Her mother Miriam is gets pregnant while at Wundagore. While pregnant, Jessica's mother is blasted by a laser containing DNA traits of many different kinds of spiders. These DNA traits are passed on to Jessica and where she gets her spider super powers from. Hydra recruits Jessica after her parents mysteriously disappear. Later she learns her father is murdered by an assassin. Jessica does not join Hydra willingly but is brain washed. I believe Hydra had something to do with her father's murder but I can't find confirmation of this. She is trained at Hydra to be a super assassin. The infamous hand to hand specialist the Task Master is her trainer. Under his tutelage Jessica masters numerous different fighting styles. On a mission to kill Alecia Masters (love interest of the Thing / Ben Grimm) her brain washing falls apart. She then helps the Thing rescue Masters from Hydra. Working with the thing she is able to restore her memory and fully remove the Hydra mind implants. Jessica has trouble adapting to normal life. She has no work experience or any documented history at all. She also seems to cause negative emotions to arise in women like fear/anger/dislike/disgust by being in their proximity. Men her presence seem to fall head in heels in love with her for little to no reason. Eventually, Jessica learns that she emits a pheromone that causes these negative feelings in females and attraction in males. She eventually creates a perfume to partially suppress the pheromones. Jessica is kidnapped by Skrull aliens. She thought she was meeting with Hydra and was planning on becoming a double agent for SHIELD however the Skrulls abduct her and replace her with an imposter. 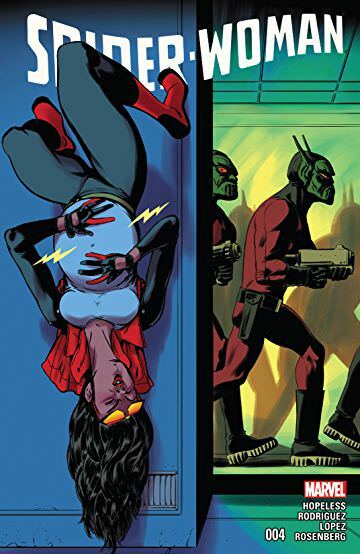 The Skrull Queen Veranke herself takes Spider-Woman's position. After the Skrulls are defeated Iron Man finds a ship in orbit around Earth that contains all of the missing heroes. Jessica is one of the cells in the ship and returns to Earth. She resumes her role as a member of the Avengers. Jessica Drew's powers are actually very different than Spider-Man's. Releases a pheremone that causes men to be highly attracted to her but women be disgusted with her. Spider-Woman is also highly trained in hand to hand combat by the Task Master. She is well trained in espionage by both Hydra and SHIELD.